Today, I want to share with you some of the most important things I have in my diet to ensure the most positive benefits for my body. First of all, rye bread! Throw away all the white or white/wheat bread in your house! Its Poison! 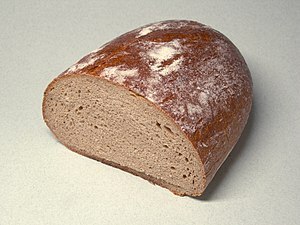 White bread is made from refined flour, which pretty much means it is bleached flower with a bunch of additives in it. Rye is the most natural bread you can get, and it tastes amazing! Compared to the glue-y taste of white bread, rye bread tastes like a delicious piece of dough with depth, texture, and a very natural/earthy taste that beats anything! Rye is perfect for sandwiches, toast, and anything that includes bread. The second item always at my house and being used is Olive oil. It takes place of any butter or cooking spray in all recipes and ads a sense of delicious buttery flavor without the added calories and fat! Unlike butter, olive oil is amazing for digestion, skin, and metabolism. A few other staples that are amazing to have in your house so that you can add to a variety of recipes to “healthify” them are avocados, garlic, and wheat flower. Remember, to have the majority of your fridge be stocked with fresh fruits and veggies, and you will be alright! Posted in ingrediants and tagged Baking and Confections, Bread, British Nutrition Foundation, Cooking, Home, Olive oil, Rye bread, White bread. Bookmark the permalink.